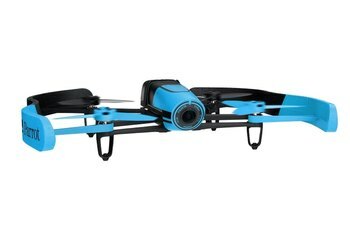 This consumer-friendly drone is easy to fly thanks to a point-and-click autopilot interface and its reliance on GPS for navigation. 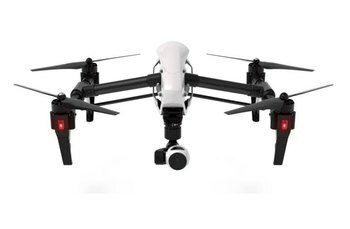 The smart drone can follow instructions for cinematic maneuvers; the optional gimbal enables stunning aerial photography previously only possible at much higher cost. The custom-designed remote makes flight easy; you can attach a tablet for POV video from the drone. Early reports from users suggest a problematic rollout. Read up online before you invest in the Solo. The drone's flagship feature--the camera gimbal-- raises the cost from $1000 to $1400, and that doesn't include the camera, which you need to provide. 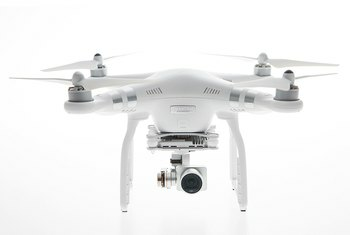 Limited to a half mile, the Solo has a much shorter range than the DJI Phantom 3, which can travel a full mile. 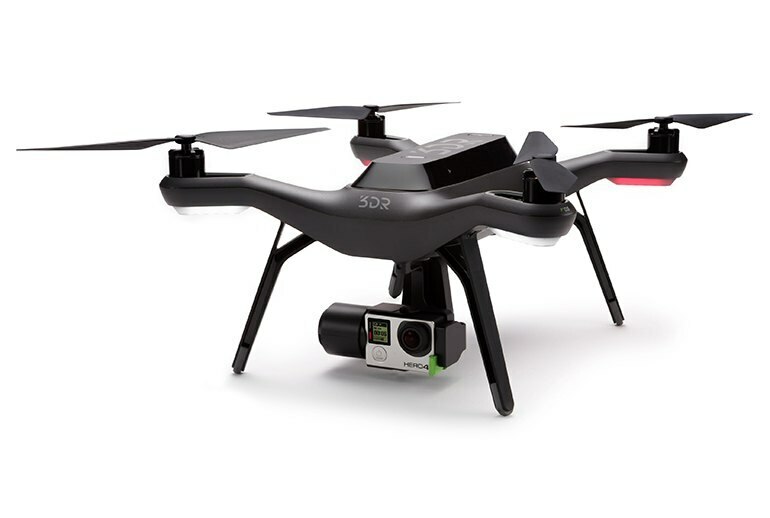 3DR's Solo is a vivid example that drone technology is increasing in sophistication. The semi-autonomous Solo is a new generation of drone that has a highly programmable autopilot and slew of cinematic modes for shooting video, thanks in part to two advanced Linux computers (one in the drone and another in the controller). Solo is compatible with an optional camera gimbal for moving the camera in flight, but even with just the base mount, this is the first drone with integrated GoPro compatibility, so you can control advanced features in the camera from the air. The GPS autopilot lets you give it a specific flight path and cinematic commands (like orbiting your position). You can stream HD video during flight up to about a half mile, and you get about 20 minutes on a charge. 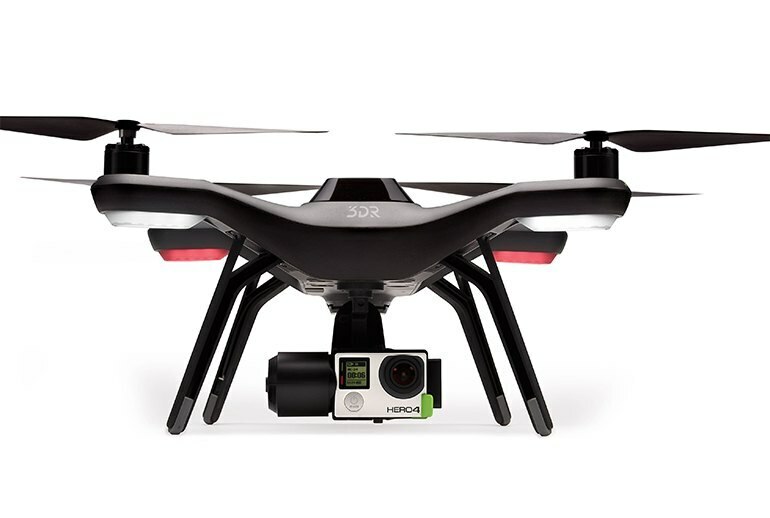 The 3DR Solo is an absolutely fantastic quadcopter, if you don’t mind paying for it. With the advanced engineering, computerized brains, and safety features, the possibilities are endless, especially, if you’re passionate about aerial footage and obtaining that once in a lifetime shot that no hand-held camera can accomplish. The various smart shots this system offers are incredibly easy to use and allow even first-time fliers to capture amazing content. This thing can take off, perform a cinematic move, and even land at a push of a button. 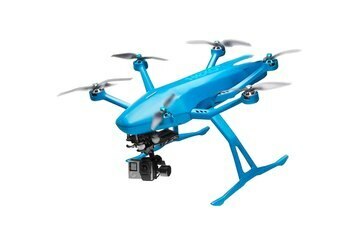 The Solo system has elevated my aerial photography and cinematography to a much higher level. 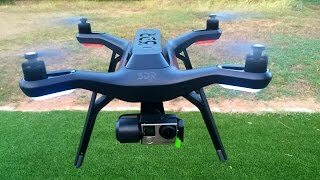 I also want to mention in this 3DR Solo Drone review that this model comes with self-tightening glass fortified nylon props. Most drones come with traditional plastic propellers, but these tend to break pretty easily. The glass fortified nylon props dramatically decrease the chances of breaking a prop. Take-off and landing are usually the trickiest and most hair-raising part of flying a drone around, but there’s a little FLY button on the controller that takes care of that for you. A long press — you’ll see a progress bar fill on the colour screen — starts the quadrotor’s four electric motors, and another long press (again, progress bar) tells the Solo to take off and hover about three metres from the ground. 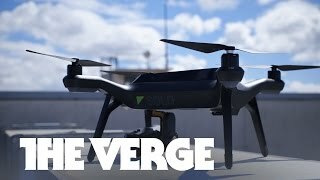 Because the drone is GPS-enabled, it can hold its location accurately. The Solo was introduced with shortcomings and defects and not only lacks “smarts”, but in our opinion it is not ready for sale to the public for its intended use. 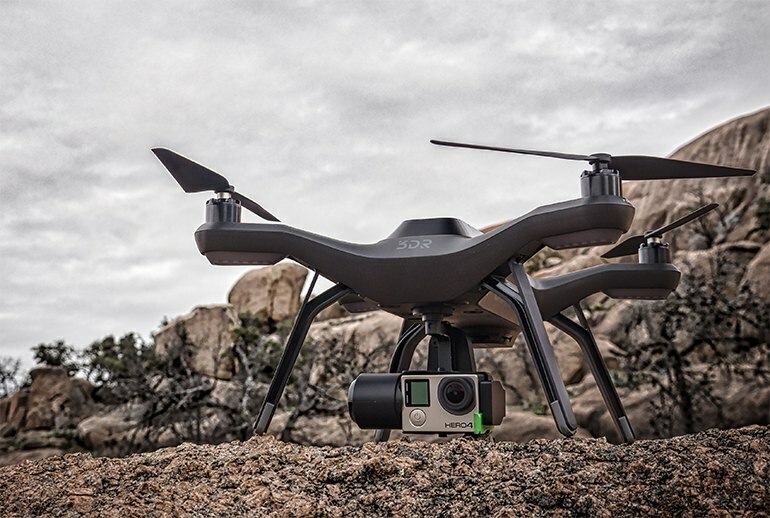 3DR collaborated with GoPro so that Solo has direct access to the camera's settings. A simple, but huge benefit. Stop/start recording when you want, switch from video to photo, change the video mode, or basically anything you'd be able to do on the ground, directly from Solo's mobile app. 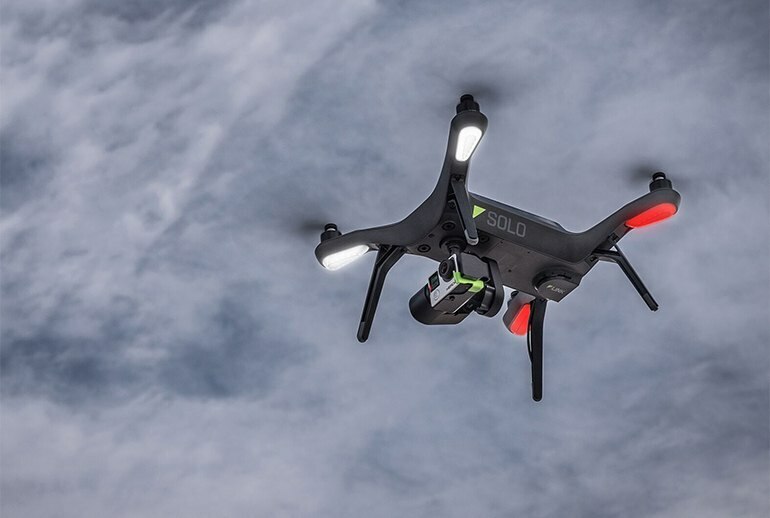 With the Solo, 3DR has done a thorough job laying out everything you need to know, in one place, with easy to understand instructions, to get you successfully up and flying. Competitors, take note. Please. You'll be able to turn the camera on or off and change shooting modes and settings -- all without landing or even bringing it back within the Wi-Fi range of your Hero3/3+ or Hero4. And you'll have live HD video. 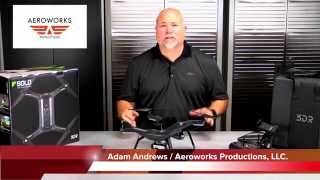 It's something no other consumer drone currently offers. Orbit mode lets you fly in a circular path around an object set at the beginning of the Smart Shot. Think about like the earth orbiting the sun, and the sun is always in the center of the frame. This gives you fluid, arcing shots, that would be nearly impossible to get without the algorithmic assisted shot. 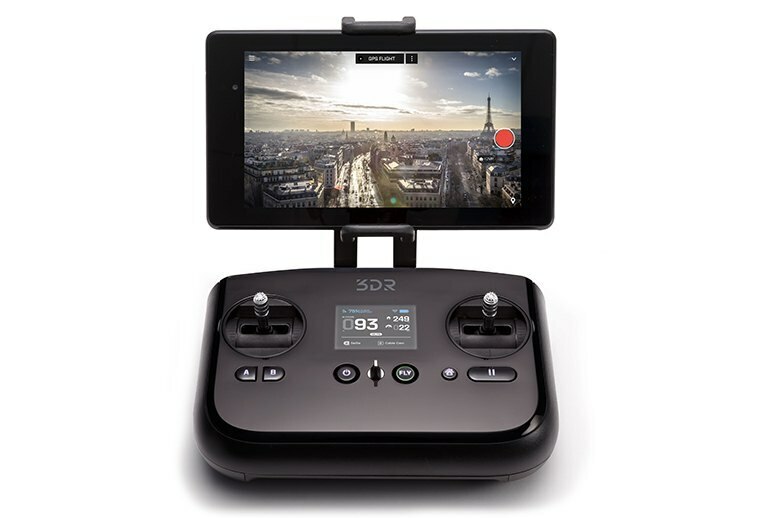 The 3DR Solo comes with dual Linux computers: One in the controller, and one in the 3DR Solo drone itself. The benefit of dual CPU’s, instead of just one, is that all commands and functions are processed extremely fast, and there’s never any “bog down” or lag. There are lots of helpful tools for newbie pilots, like a panic button on the controller that will stop the drone in its tracks wherever you are, and a flight simulator app so you can learn to fly a drone without risking crashing $1,000 into a wall. Although DJI created a consumer product with a user experience rich enough to earn a spot on Apple’s shelves, they missed a crucial insight that they are now just realizing — new pilots don’t have the flying experience necessary to get the footage they really want! I love the Solo and have captured some truly amazing video with it. But I can't recommend it without reservation. First, it's pretty darned expensive, especially if you don't already own a GoPro and also opt for the optional second battery and custom backpack. You're looking at $2000. More importantly, it loses its connection with the transmitter more than I'd like -- always a terrifying experience, even though it *should* return home automatically. And a few times, I've commanded it to record video and that command was apparently never delivered to the GoPro. I've missed out on some amazing shots because of that.